Marshame (or Marsham) John Molloy was born at Sydney on 28 November 1900, son of John Molloy and Esther née Manning. He was the brother of Alderman Sydney George Molloy. In 1938 at Murrumbah, NSW, he married Alma Alberta (b.1907), daughter of Phillip and Frances Pettit. He died at Concord Repatriation Hospital on 26 November 1974, survived by his wife Alma. Marshame Molloy was living at Pyrmont when he enlisted in the Australian Army on 13 April 1940. He served in the Middle East during World War II and was discharged as Sapper on 23 October 1945. He actively participated in the activities of the Returned Services League becoming a member of the Board of Directors of the City of Sydney RSL Club. 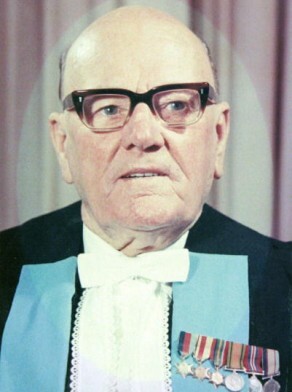 Marsh Molloy was Alderman for Phillip Ward, 27 September 1969 until 27 November 1974. He was a member of the Finance Committee and Community Services Committee from 1969 to 1974. He was a member of the Australian Labor Party. Matthews, Michael R 1982, Pyrmont & Ultimo history, Pyrmont Ultimo History Project, Ultimo, NSW, p. 99.